In 1975, one year after Patty Hearst and her captors robbed Hibernia National Bank, a second kidnapping took place far from the glare of the headlines. Virginia Holman's mother, in the thrall of psychosis, spirited her two daughters to a cottage on the Virginia Peninsula, painted the windows black, and set up the house as a MASH unit for a secret war. A war that never came. The family -- captive to her mother's schizophrenia and a legal system that refused to intervene -- remained there for more than three years. "What sets this book apart," the Hartford Courant observed, "is Virginia's voice...brave, smart, tough." Reviewers nationwide have praised Holman's "riveting," "endearing," and "wryly humorous" story of a young girl caught in the whirlwind of madness -- a girl who chooses a brainwashed heiress as her role model. Holman's memoir vividly and brilliantly evokes the interior worlds of the sane and the insane and the delicate membrane in between. An essential exploration of identity, captivity, and love, Rescuing Patty Hearst will inspire readers' faith in the resilience of one family's spirit to survive and thrive even in the direst of circumstances. 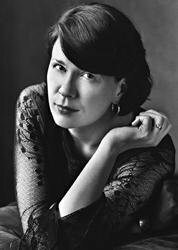 Virginia Holman is the recipient of a Pushcart Prize, a Roslynn Carter Mental Health Journalism Fellowship, and a North Carolina Arts Council grant. 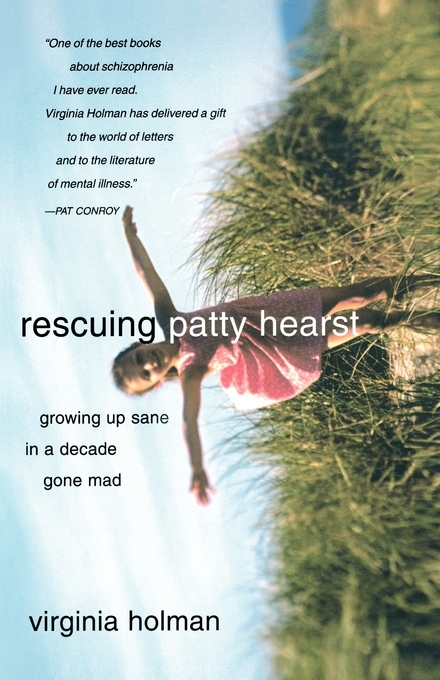 Rescuing Patty Hearst won the 2003 Outstanding Literature Award from the National Alliance for the Mentally Ill. She lives in Durham, North Carolina, where she is at work on a novel. Pat Conroy One of the best books about schizophrenia I have ever read. Virginia Holman has delivered a gift to the world of letters and to the literature of mental illness. USA Today Electrifying, like lightning in a Mason jar. People Holman...infuses her nightmarish past with compassion and insight....Bottom line: Captivating. Glamour Holman's passionate book is a fierce testament to the power of love.